I always arrive into autumn with a sigh of relief. I always arrive into autumn with a sigh of relief. Temperamentally, it's the season I’m most suited to (introverted, home bodied). It’s the homestretch of the year. I enjoy the ‘fresh start’ feeling of back to school, dressing in cozy layers, having more opportunities to curl up and rest. The air is quicker, cooler. The weather is damper, heavier, crisper. As a child, summer meant freedom, a break from the drudgery of the school routine. I always thought I liked summer, you’re supposed to like summer, but I don’t. I find it hot and sticky and relentless. It’s boisterous and I get lonely. Friends talk about summer weddings and travel and festivals and beer gardens. Not me this summer, I just wanted to stay home. Summer is when things go slack. It demands sloth which doesn't come easily to me. The industriousness of autumn is more my style. I do better when there is momentum and focus. I spent much of this summer waiting for the heat to break, knowing that it'd mean an end to long, ‘living in a pressure cooker’ days. I always end the season with the feeling of having survived it, the big open part of the year when you're so exposed. It’s a relief to go inward again, to have less glaring light and shorter days. I mis-timed my leave this year so that by the time I took my ‘summer break’, it was deep into Autumn and I was one strong gust of wind away from collapse. I might get out of Ireland next year, opt out of that sluggish August-ness when the government is away and the papers are full of nonsense. Autumn is a welcome opportunity to relax from all the fun you’re supposed to be having and do what you want. There’s pressure not to waste the nice days too. In Ireland, they’re rare. "It's a sin to be inside,” I hear my late grandmother say, after I open the blinds on a sunny Sunday morning when all I want to do is stay in bed with a book. And it is beautiful. Summer is all blue sky, white clouds, green grass, BORING. Autumn is colourful. Every day you step out into the world, it looks slightly different. Nature’s colour palette deepens and ripens. Autumn is warm pantry staples, pots of things bubbling on the cooker, curry and soup and hot bread from the oven. It means putting the heavy duvet back on the bed, packing away the shorts I never wore. It’s time for hot water bottles and electric blankets and tea. Sartorially, Autumn works for me. I like dressing modestly, covering my toes, my ankles, my elbows, my shoulders. I like big forgiving jumpers, warm tights, wooly hats and big coats. In Autumn, my calves grow furry, my skin stays covered. 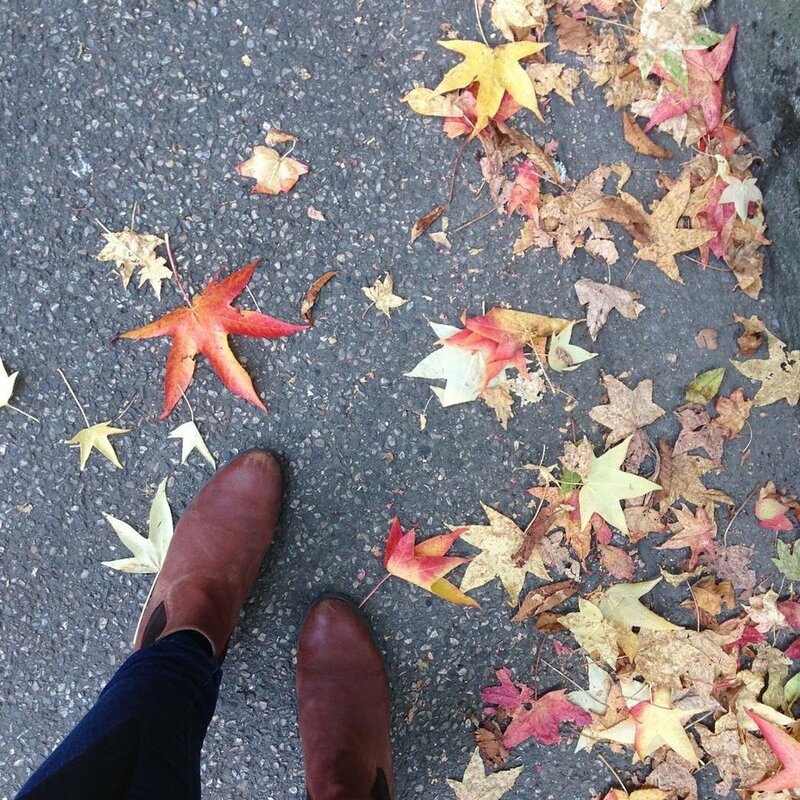 But, it’s not the accessories that makes autumn awesome. It's the essence of it. Autumn is about reinvention, hibernation and fresh starts. It's about decluttering and new thinking and the final drive to GET THINGS DONE. September is a nicer version of January. All the optimism of a fresh start, with none of the misery. I like the burst of activity (Autumn) leading to a burst of socialising (December) leading to a big, long rest (Christmas & New Year). Autumn is productive, nature is doing its jobs before sleeping for the winter. You can see the inevitability of seasonal change. It’s a reminder of the cyclical comfort of life on earth (unlike the chaos within the crowded confines of my own mind). The perfect Autumn has the correct balance of comfort and intensity, professional focus as you drive toward the end of year deadlines and guilt-free cozy hibernation. Autumn is a chance to get ready for a brittle, brutal winter. Towards a theory of fall fuckability.